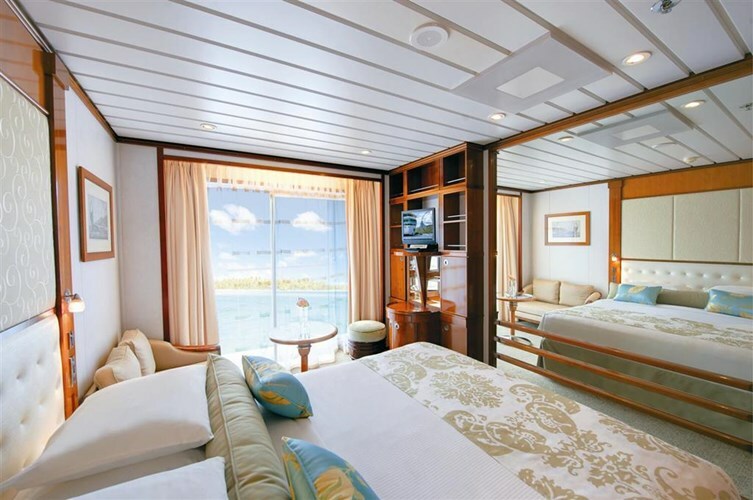 The renowned, 5+-star m/s Paul Gauguin was built specifically to sail the waters of Tahiti, French Polynesia and the South Pacific. With a variety of luxurious amenities and unique activities, your days aboard ship are sure to match the splendor of your stunning surroundings. For the ultimate in relaxation and rejuvenation, discover our luxury spa. Then explore the ocean’s surface via kayak, paddleboard, or Windsurfer. 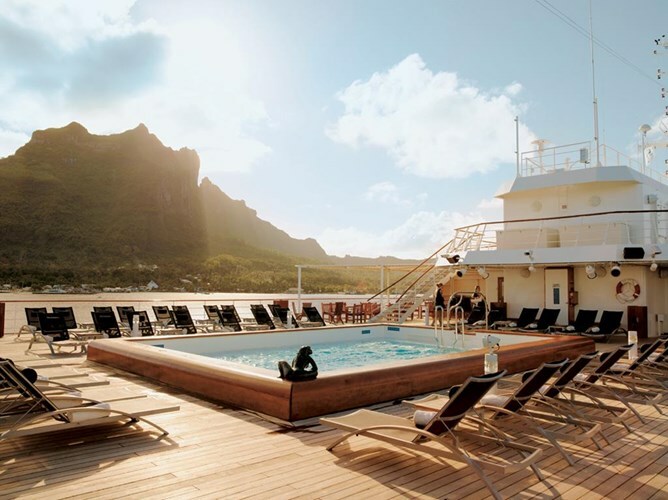 On board The Gauguin, you can also experience Tahiti’s underwater wonders with our optional SCUBA certification program—the only one of its kind on French Polynesian luxury cruises. Or experience the natural and cultural history of the destination through a lecture with one of our onboard naturalists. Enjoy your meals at your leisure at stellar, onboard restaurants, and spend your evenings relaxing and enjoying entertainment in our lounge. Whether you choose to indulge your body, mind, or spirit, you’re sure to find an activity to match your passion! 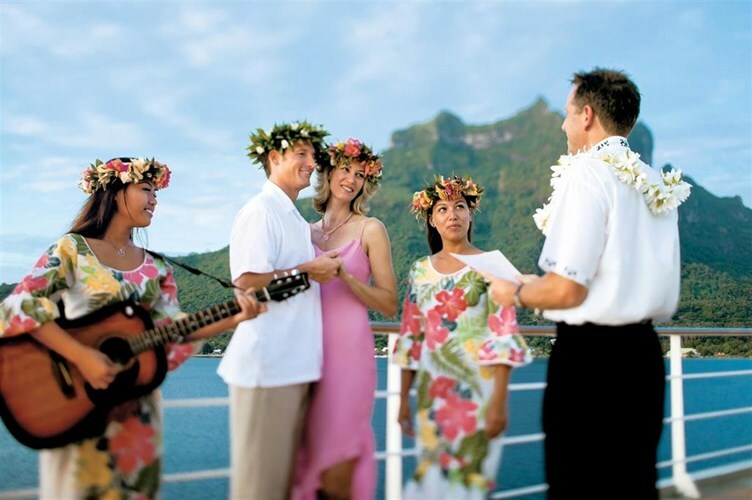 If you book with us here at North South Travel, honeymooners receive a complimentary honeymoon package, which includes a special Polynesian blessing ceremony aboard ship, an in-stateroom celebratory bottle of Champagne, one 8" x 10" photo portrait, and an exclusive pillow gift. In 1891, when Paul Gauguin arrived in Tahiti, he captured the charm, culture, and languid grace of its people in oils.You won't find his paintings here, but the breathtaking scenic splendor and easygoing lifestyle of its people remain. This 7-night itinerary is perfect for those who want to experience the best French Polynesia has to offer in just a week. Aboard the award-winning m/s Paul Gauguin, you'll draw close to the islands that inspired Gauguin, author James A. Michener, and so many others. 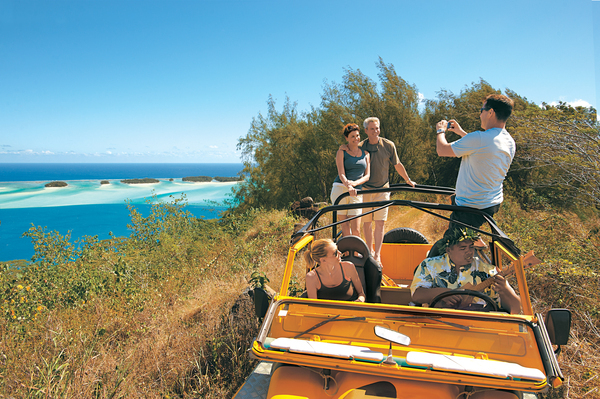 Call on Huahine, the "Garden Island" ... spend a day on our own private islet off the coast of Taha'a ... explore magical Bora Bora and bask on their private white-sand beach on a motu off the coast ... and discover Moorea, said to be the model for Michener's Bali Hai. Get in touch with our Cruise Specialists today for more information and to find out more about the latest special offers and availability! Call us at 604.736.7447 or inquire via our website by selecting the 'contact us' button!